"Thank you once again. Not the cheapest service out there but when it comes to my family I am paying for reliability and safety. I can always count on Brilliant for that. I never write reviews / thank yous but you truly have a great service and I am looking forward to using you again. 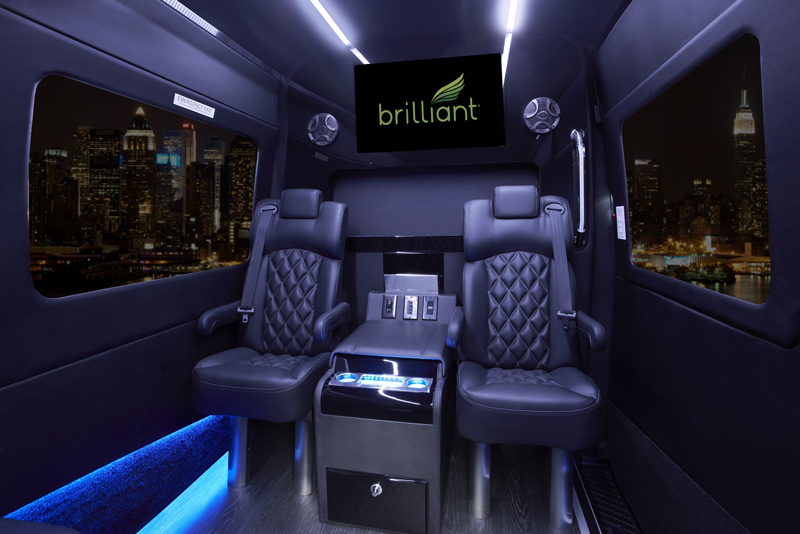 The Brilliant Corporate Van has become extremely popular for entertaining clients, conducting meetings, and transporting a team of executives. The idea behind this Mercedes Sprinter configuration was addressing the need to replicate the same experience in our Brilliant Van with a large group. The face-to-face interaction is something that our clients utilize fully for meetings and entertaining. With amenities such as individual leather captain's chairs, 32'' flatscreen TV, and an ice chest there really is no better way to travel. 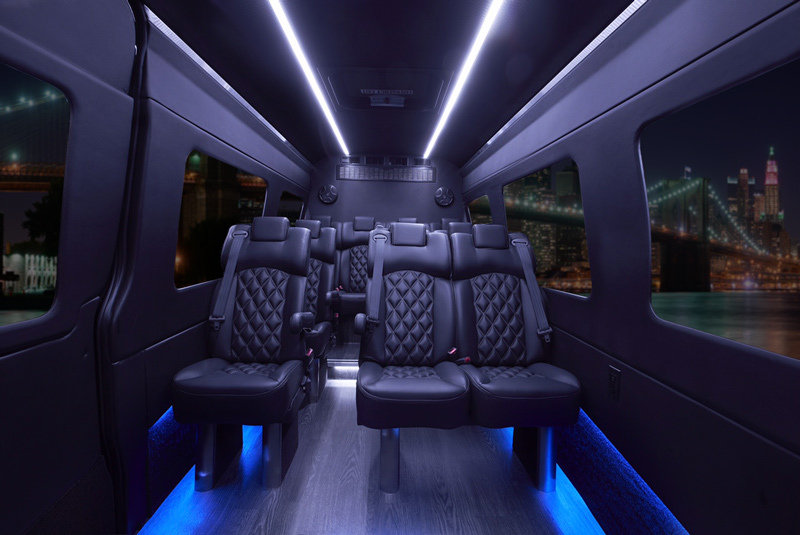 The Corporate Van gives your corporate team the ability to travel in groups of up to 13 people. The face-to-face interaction makes meetings/presentations easy and efficient.